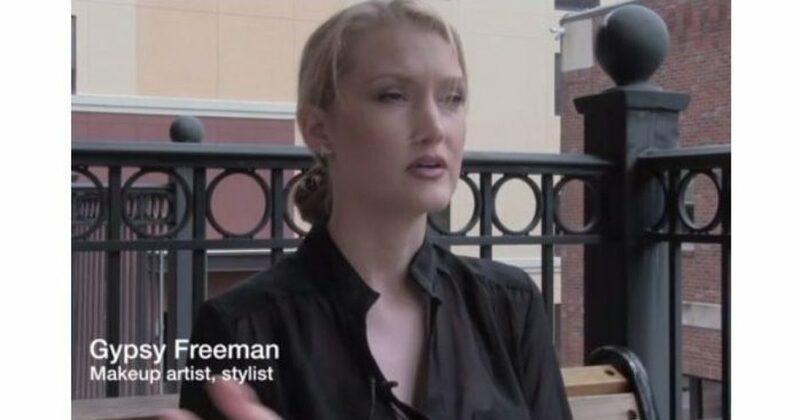 Gypsy Freeman is a makeup artist from Wichita, Kansas. She recently won the Kat Von D Instagram makeup contest…. until the contest organizers discovered that she is a Trump supporter. Then she was disqualified. I hope she wins $10 million in a law suit against Kat Von D, whatever the hell that is. An Instagram post showing support for President Donald Trump apparently disqualified a local makeup artist from a national contest. Gypsy Freeman, who splits time between Wichita and Florida, last month was declared the winner of an Instagram contest sponsored by Kat Von D Beauty, according to screenshots taken by Freeman. The winner of the Saint + Sinner Contest – and a guest – was to be flown to Los Angeles to attend the launch party of a new makeup line from Kat Von D, perhaps best known for her role on “LA Ink.” The approximate value of the prize package, which included a $500 gift card to Sephora, was $2,100. To enter, Freeman submitted an Instagram image of an angelic figure beside a girl in an all-black outfit and thick mascara. When Freeman was announced as the winner, curious Instagrammers went to her page and found a pro-Trump post from Election Day last year. That evening, she received a direct message from Kat Von D’s personal Instagram account, telling her the celebrity had “drawn a personal line in the sand between myself and anyone who supports that man,” according to screenshots of the conversation.